Last night I arrived back home in Finland after two weeks out in Japan, during which I was on tour with Wrestling New Classic in five different cities across the country. 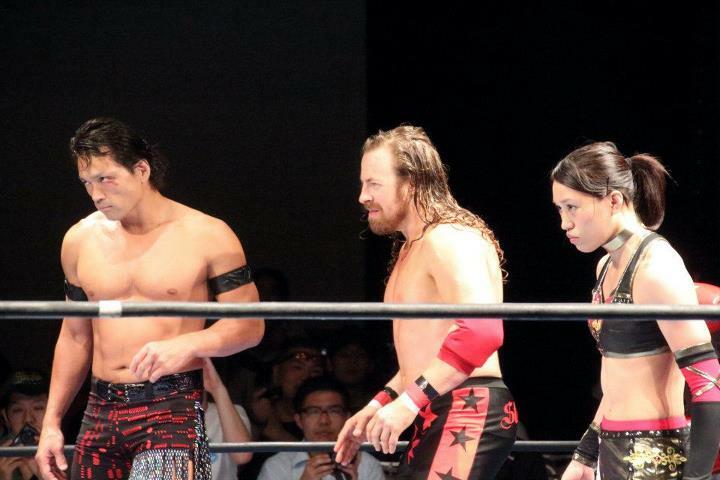 My new team with AKIRA and Syuri rocked the houses every night, and we were a dominant trio, pulling out wins in every single one of our six-person tag matches. The only loss my team suffered was my personal singles match loss to TAJIRI at Hakata Starlanes in Fukuoka on August 6th. 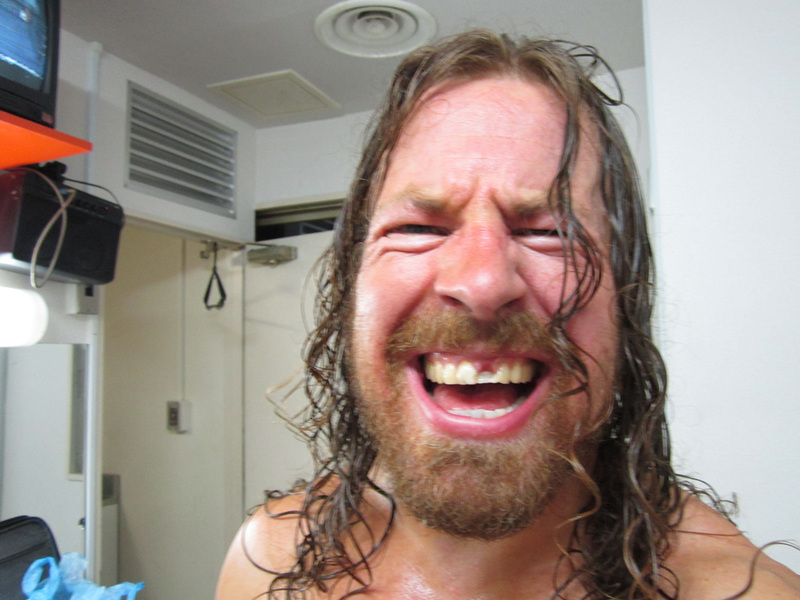 In our first team encounter on August 2nd in Tokyo against TAJIRI, Hajime Ohara and Kana, Tajiri knocked my front tooth out as we brawled on the outside of the ring. TAJIRI caught me with a knee right in the chops as I charged for him on the floor, and in the process the blow busted the bridge that I have for a prosthetic tooth up front, which I lost in a stunt-riding BMX accident when I was 9-years old. In the picture below you can see the damage. I was able to meet some very cool, new people in Japan on this trip, from avid wrestling fans of mine to ring legends like The Great Kabuki at his restaurant Kabuki with Family in Tokyo. 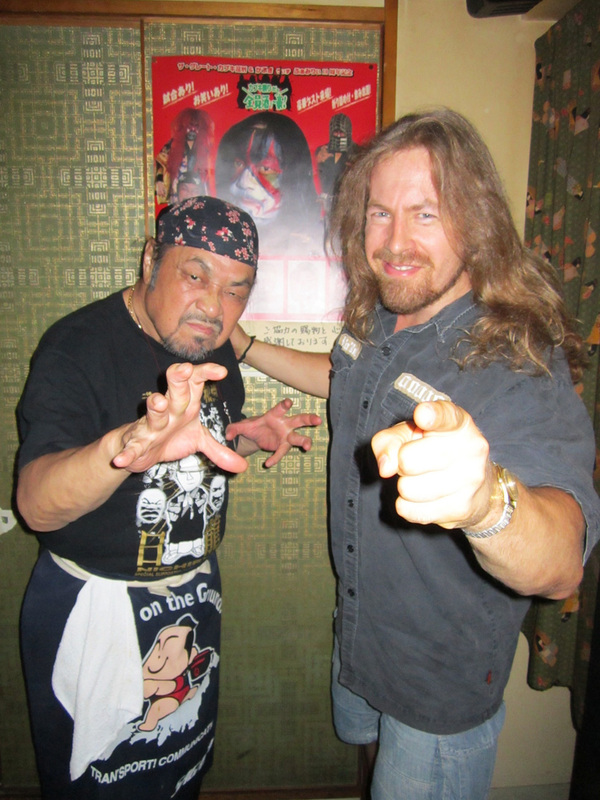 As I usually do with old timers who knew Bruiser Brody – one of my all-time favorites in the game and a legend in Japan too – I grilled Kabuki on his take as to the death of Brody in Puerto Rico in 1988 at the hands of Invader #1, where Brody got stabbed to death in the locker room. Out of respect, the details of our conversation will remain anonymous, but I got a good understanding of the possible reasons behind the incident. My next tour with WNC takes place at the end of this month, starting on August 30th at Korakuen Hall in Tokyo, where I again team with AKIRA and Syuri in the main event against TAJIRI, Kana and Mikey Whipwreck of ECW fame in a huge barbed-wire board match, which will not be for the faint of heart! For more infos go to the WNC website!